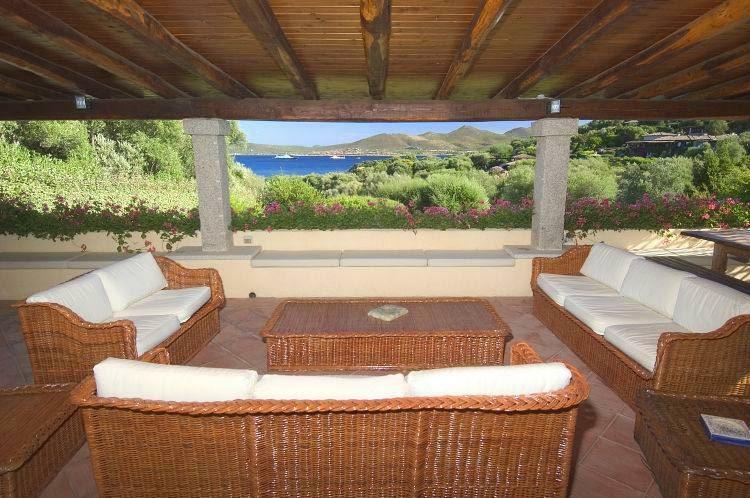 This impressive home offers guests a wonderful location in northern Sardinia (Italy), Porto Rotondo, Punta Lada. Immaculately maintained by the owner, the many modern amenities include a Jacuzzi, under water music in the private swimming pool and an intercom telephone system throughout the house. 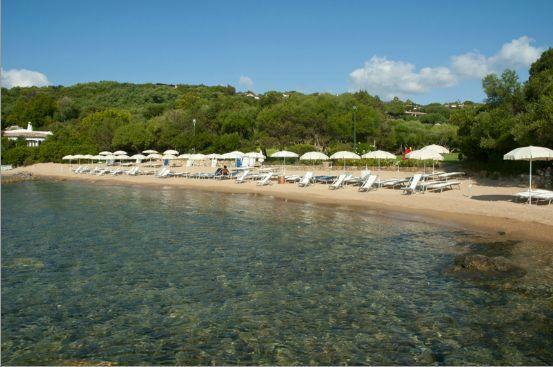 With its many facilities and access to the private beach (distance 150 mt through the garden) at Club Marina Piccola, this villa is wonderful for a family holiday or a group of adults. The open plan living and dining area is simply, but stylishly decorated with light coloured, modern furnishings and terracotta tiles throughout. 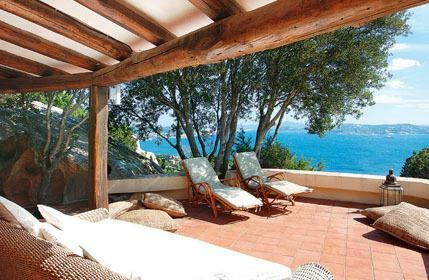 This room opens onto a large terrace with outdoor sitting and dining area with views towards the sea and garden. A well equipped kitchen includes: air conditioning, TV, refrigerator, dish-washer, oven, microwave and barbecue. There is one double room on this floor with satellite lcd TV, Jacuzzi, air conditioning,safety box and en-suite shower room (with multi-function shower and steam bath). Twin sized bedroom with en-suite. Double room with satellite TV, safety box, air conditioning and en-suite, bathroom, walk in closet, porch with sitting area opening to garden. Double room with king-sized bed, satellite TV, safety box, air conditioning, sitting area and ensuite bathroom. Small twin bedroom accessed through king sized bedroom (sharing same bathroom). Double room with en-suite bathroom opening to garden, satellite TV, safety box, air conditioning. 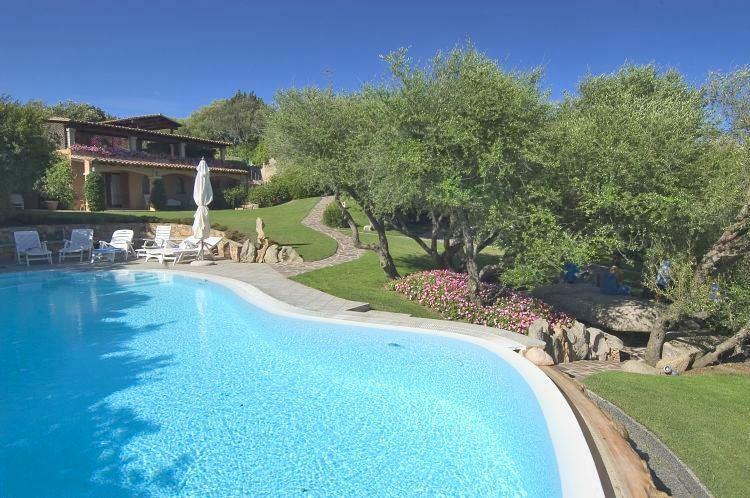 The well-maintained garden slope gently towards the swimming pool furnished with hydro-jet (to swim against the stream), spa, under water music, heated by solar panel. An outdoor kitchen area with barbecue and built in granite table and benches. 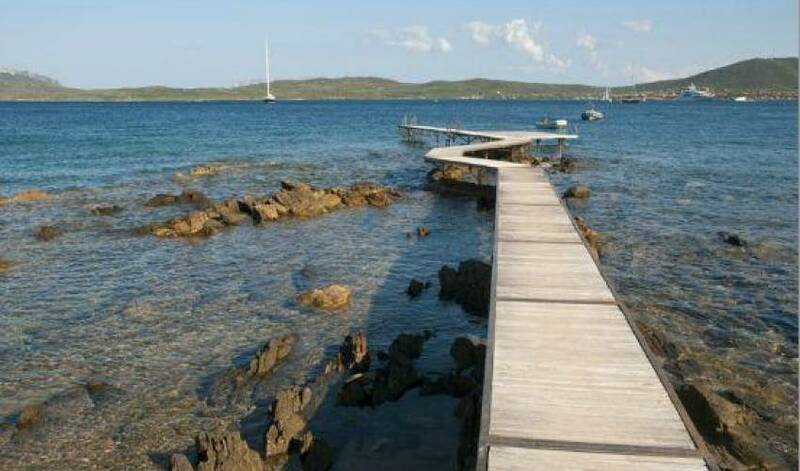 From here there is a small gate that leads to the "Club Marina" less than 150 mt., where there is a salt-water pool with lifeguard and a small sandy beach. 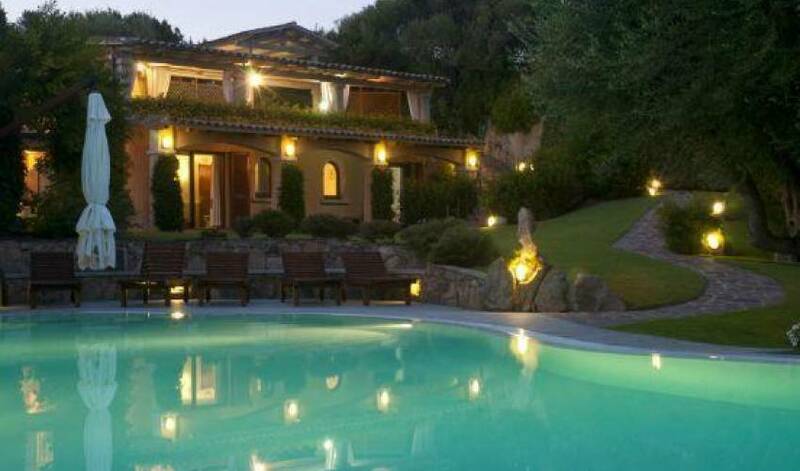 - The maximum Club membership for guests staying at Villa Smeralda is 8 people, this is due to the limited number of members allowed by the club. 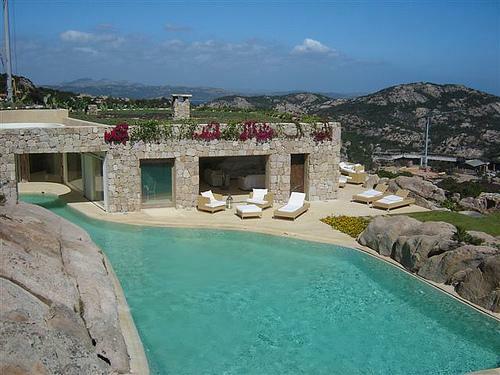 The property also has sheltered parking for 4 cars and a private gym. A personal trainer can be arranged on request. Maid service included 6 hours per day for 6 days per week. Cook on request (euro 3000 per month, euro 800 per week). 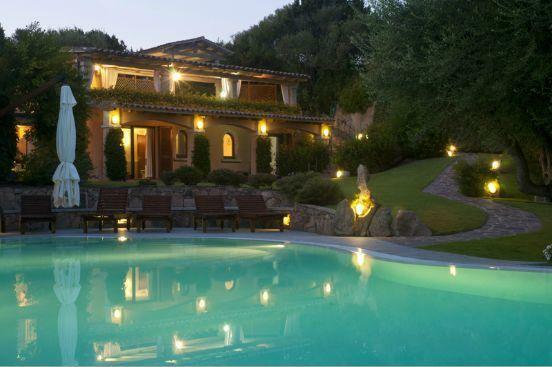 Gardener who maintains the gardens and swimming pool. 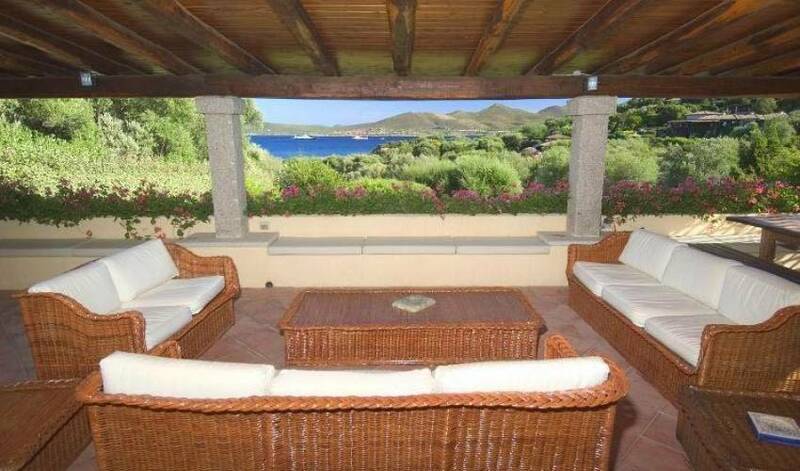 Porto Rotondo Harbour is just 1.2 km away from the property. In the vicinity Porto Cervo (Costa Smeralda) 15 km, Pevero Golf Club 10 km, by boat: Maddalena islands national park 45 min., Corse (France) 1h 30 min. 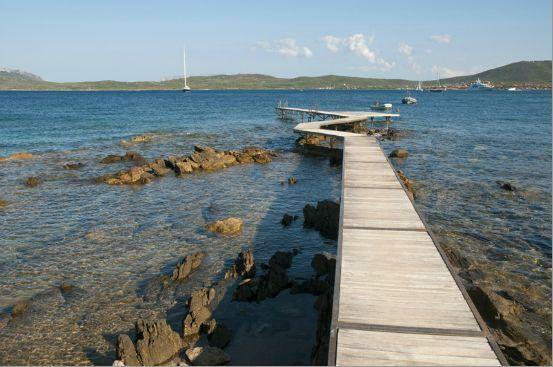 Most italian and european cities are connected with Olbia Costa Smeralda Airport by Meridiana Flights.